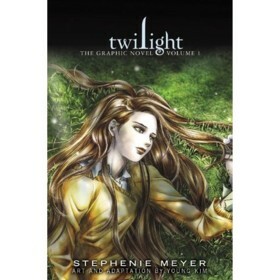 Twilight: The Graphic Novel, Volume 1 is a book in the Graphic Novel genre written by Stephenie Meyer and Young Kim. The book was published by Yen Press on 2010-03-16 and contains 224 pages. The book has an ISBN number of 978-0759529434. Our users found the overall impression of this book to be Exciting. As most fans already know, Twilight is the story of young Bella Swan who moves from Phoenix, Arizona to Forks, Washington to live with her father. In Forks, she ends up falling in love with vampire Edward Cullen. I won't go into the rest of the details in case you don't yet know the story, just know it involves a lot of intrigue and battles between various vampire clans all revolving around Bella Swan. This graphic novel is about 200 pages in length and covers the events of the first novel/movie. It features gorgeous illustrations with nice shadowing and wonderful colors. The only knock I have with the graphics is how you can tell the comic characters were overlayed on top of actual photographs (kind of like a cut-out). It would have been better if some sort of filter were applied to these images to make everything blend together more nicely. It took me about one and a half hours to read through this novel and I actually found it more enjoyable than the movie (but not more enjoyable than the novel). I would recommend this to die-hard fans and to those who are wondering just what all fuss is about regarding the Twilight Saga. However, it would probably be better to borrow it from a friend or from the library rather than purchase it as it's a point-form retelling of the story that can be finished relatively quickly. Check it out.